The compulsory diagnostic surveys are grouped together in a single report known as the Technical Diagnostic File (Dossier de Diagnostic Technique) or DDT. DDT surveys are all required by law and it is the obligation of the vendor to commission and pay for up-to-date reports to be attached to the compromis de vente. The notaire will ensure that the law is complied with. The DDT surveys are completely unrelated to the buyer having an independent structural survey. The DDT includes surveys on lead and asbestos levels, fungal or beetle infestation of any woodwork and the DPE test that relates to power consumption and insulation. This includes septic tank drainage. From 1 January 2011, this is obligatory when selling a home with Fosse Autonome or individual Fosse septic installations. It identifies if an installation “conforms” to present regulations and functions correctly. If the installation does not conform, the buyer has one year following the date of purchase to carry out any necessary work. A government organisation Services Publics d’Assainissement Non Collectif (SPANC) is charged with the responsibility of examining all private foul water drainage installations. A house being sold may have been visited by SPANC. SPANC have a statutory obligation that the drainage is inspected, approximately every four years, regardless of whether a house is for sale or not. There is a small charge. Depending on a properties’ location, and how old it is, a notaire will advise or instruct the seller to have this report done. The report is mostly concerned with woodwork and related problems. The section on termites is only obligatory in a few restricted areas, however completing the Etat Parasitaire section is recommended for buildings aged over 25 years old. New regulations coming in July 2012 dictate a stronger set of tests are carried out with more emphasis on closer inspection and reporting. Compulsory for all houses granted planning permission pre July 1997. This will list any products which contain or may contain asbestos and will provide general advice as to the ways of dealing with it. If found specialist removal and disposal may be required. Compulsory for houses built prior to 1 January 1949. It does not cover lead plumbing but should mention it, but paintwork. It identifies if lead is present, and at what sort of levels it can be found. The Gas Diagnostic Certificate (Un état de l’installation intérieure de gaz naturel). Gas installations which are over 15 years old must be inspected this is to identify any safety issues with the gas system. The seller must provide the buyer with information on electrical safety issues must be reported on for any installation over 15 years old, and came into force in January 2009. A notaire can advise if a property is located in an area at risk of being flooded, subject to land slides and other natural dangers e.g. seismic or earthquake (!). It is there to advise the buyer of the risks in the area. It will not say if a property has had problems caused by these conditions or not. Only required if selling a flat in a “shared” property (Copropriété) this certificate is require and gives an indication of the size of the property being purchased. Advice is available from an estate agent or notaire who should be able to name a Diagnostic Immobilier in the area able to carry out the reports. Although there are plenty of other routes for finding them; Pages Jaunes, as a starting point. A Diagnostic Immobilier is required by to be qualified in the six main areas of diagnostics in which they practice and will have a certificate to prove they have passed the required theoretical and practical examinations in France. These qualifications must be up to date and current with latest regulations. These are being updated constantly. As an example a new set of constraints related to the Termite inspection come into force this year (July 2012). However, the surveys carried out as part of the buying process in the UK do not occur in France as a matter of course. It is worth mentioning the fact that, in essence, they are just diagnostics of problems that a property may be suffering from within the fabric of the building and make no reference to the level of problem in terms of structure. So, if ever there were a case of “caveat emptor”, buyer beware, this is quite a big one. 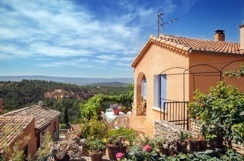 The non-French purchaser of any property in France will be confronted with all manner of issues regarding the type, location and condition of their prospective purchase. These can be compounded by the language barrier, the procedures themselves and the fact that most purchases are made with a view to improving, renovating or even rebuilding the property as a project. So how do you go about ensuring that the concerns you have about the fabric of your potential new French property are not really that serious. Or, if they are, how best to go about solving these problems? One route is a full blown structural engineers report. In some cases, this may be prudent. However, I have seen plenty of French buildings that any engineer worth his fee would have condemned to demolition, revived as homes that are as comfortable as they are solid. Another solution is to commission a pre-purchase report or even one after you have bought the property. This could be based on the concerns you have as to the building’s suitability and its potential to provide you with the outcomes you have in mind. These can be tailored to your requirements relating to what state the building is in and what level of work is envisaged to bring it up to an acceptable standard. These sorts of surveys are carried out by people who have had experience of renovations and conversions. They can provide information based on real experience of, and involvement in, projects of this type in France. If you are searching for an English speaking surveyor in France, search the FrenchEntrée directory of surveyors. 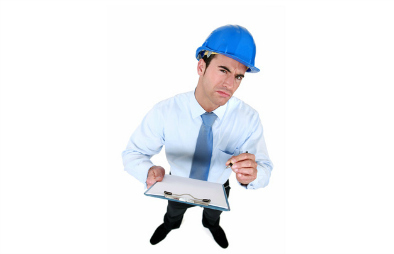 Most professional surveyors will give you a full structural survey with a number of pages, rather than a short one page summary, so before employing a surveyor ask them about their survey format. If you are looking for builders in France search the FrenchEntrée directory of builders.